You’d think that fragmented, piecemeal point of sale systems, like bulky countertop terminals and handwritten receipts, would have been done away with by now, especially in a day and age where POS advancements have never been more sophisticated, mobile or affordable. Sixty-three percent of restaurants don’t have a restaurant POS system in place. In our discussion with POS software specialist Justin Guinn from Software Advice, we learned that 63 percent of restaurants don’t have a restaurant POS system in place. The old standard of jotting down orders, plugging those scribbles into a computer, penning modifications directly onto the ticket, and presenting a single bill, technically works, even with the miscommunications, the risk of error, and the cost to maintain those legacy systems. The process isn’t great, it’s definitely not perfect, but it gets the job done. However, many restaurateurs are starting to see the light, and a huge trend towards mobile POS is occurring: Guinn reports that within the 63 percent of restaurants that don’t have a POS, 73 percent are requesting mobile POS with an iPad favorability. In the restaurant space, the trend towards mobile POS is very, very apparent. “In the restaurant space, the trend towards mobile POS is very, very apparent. It’s definitely the biggest shift happening right now. The primary reason for this? There is an incredible operational benefit gained when servers can take orders and complete transactions anywhere in the restaurant, as opposed to having them go back and forth to terminals. The servers are more efficient, tables are turned over faster, there is no lag between order and order submission, and, of course, way less room for error,” says Guinn. Now that restaurateurs are seeing the immense operational and cost benefits of automating their ordering and billing process, the question becomes, what key capabilities are they looking for? Based on our discussion with industry expert Justin Guinn, here are three of the biggest POS trends occurring in the restaurant industry. Here’s a scenario that reflects what traditional processes can look like: first, a server chicken scratches an order into their notebook. Then, they run across the restaurant to a monitor and input that order into the computer. Sometimes they have to wait for another server to finish entering an order. Once they’ve logged in and started entering their order, halfway through, they’re interrupted with a red-hot task. In a hurry, the server forgets to add on the modifications. The dish is prepared and then taken out by a busser – and it’s all wrong. The customer experience and the restaurant’s reputation is affected, as well as the server’s tip. Mistakes happen, but with the advent of mobile POS systems, they’re drastically reduced. The trend towards mobile POS is largely occurring because restaurateurs are recognizing the direct correlation between inefficient processes and customer service. You could have the best front-of-house and back-of-house teams in the world, but with an ineffective ordering process, you’ll never get to the next level. 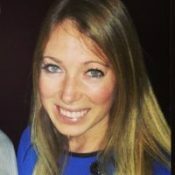 Taylor Moore is a Content Marketing Manager at TouchBistro. She writes about food trends, restaurant best practices and technological innovations for the foodservice industry.